For any business that wants to successfully compete in today’s digital economy, it is not a question of if but rather how much of their business will be done with cloud applications. and/or machines that are geographically distributed. The application is intensely transactional (high velocity reads and/or writes), always available, and instantaneously responsive no matter the number of users or machines using the application. 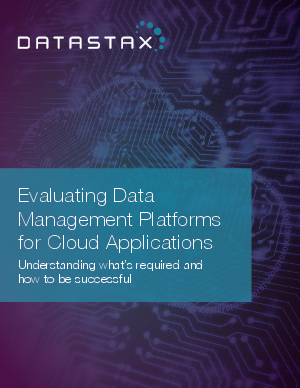 Download this free white paper and explore how DataStax customers are delivering real-time value at epic scale with their cloud applications. Explore the core database requirements that make businesses successful with cloud applications, which include continuous availability, linear scale, and geographic distribution.